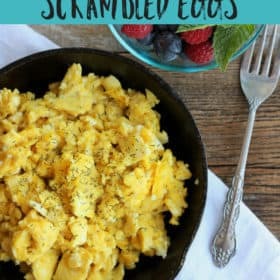 The perfect simple breakfast recipe for busy mornings, Easy Make Ahead Scrambled Eggs are great for one or for a crowd. 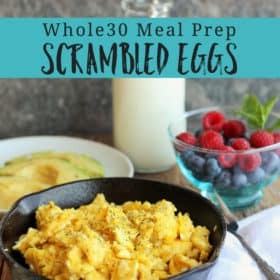 Learn the secrets on how to make this clean eating breakfast staple without milk; perfect for Whole30 or paleo lifestyles. This may not be easy to hear…but I make better scrambled eggs than you. Well, actually, since I believe in the 1% possibility, I’m 99% certain that I make better eggs than you do. I’m an egg junkie and thanks to our six spoiled as hell backyard hens we are flush with eggs from March through October. And they’re bright crazy “Crayola needs to name a crayon after this” orange. And so delicious. So, I’ve made a lot of eggs before. It’s kinda my thing. Can You Make Scrambled Eggs Ahead of Time? Yes!! And you should, because it will save you so much time in the morning. After making myself scrambled eggs every morning, I thought “this is dumb. Why not make a bunch once a week and just let anyone who wants eggs heat up their own portion”. And it has worked so well that I’m kicking myself for not thinking of it earlier. (Related: Make Ahead Whole30 Breakfast Sausage and How to Bake Bacon). First things first. These are not gooey soft scrambled eggs. These are not the eggs when you use your fork to scoop up a few bites you may or may not get the gross stretchy scrambled egg that makes you think an alien is on your plate. No, these are scrambled eggs that won’t gag you but are still super light and fluffy. They are the perfect “everyone can agree on these” style of eggs. And? They’re packed with flavor from some herbs we’re going to be adding. Herbs are so good for you! That’s pretty much like a salad in your eggs you know. 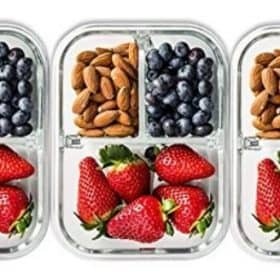 Healthy AF. You’re going to need to whisk them up quite a bit to incorporate some air into those bad boys. We’re also going to add a little fat to the pan, and cook on medium-low. Do not for the love of all that is holy let your burner get past a 3 out of 10. No! Another big no-no is adding milk. Don’t do it; hold yourself back! It causes the eggs to take longer to cook and can add a slimy texture. 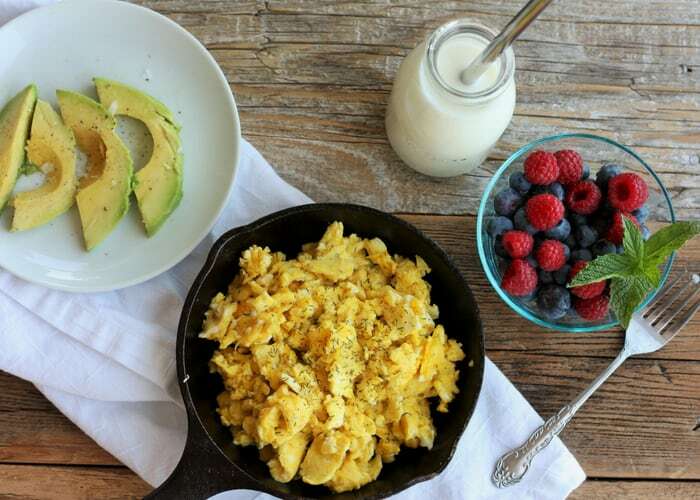 Do You Cook Easy Scrambled Eggs With Butter or Oil? I sure do and you’re going to want to as well after you taste these eggs. I use just a little ghee (Whole30 and paleo) or butter (er’body else) in the pan. We’re talking a silver. Just enough to keep those eggs from sticking and to flavor them as they cook. Set your pan on medium low and let it preheat for 5 minutes. Meanwhile, crack the eggs in a roomy bowl, add the dill and lemon pepper, and whisk, whisk, whisk. Put your back into it! 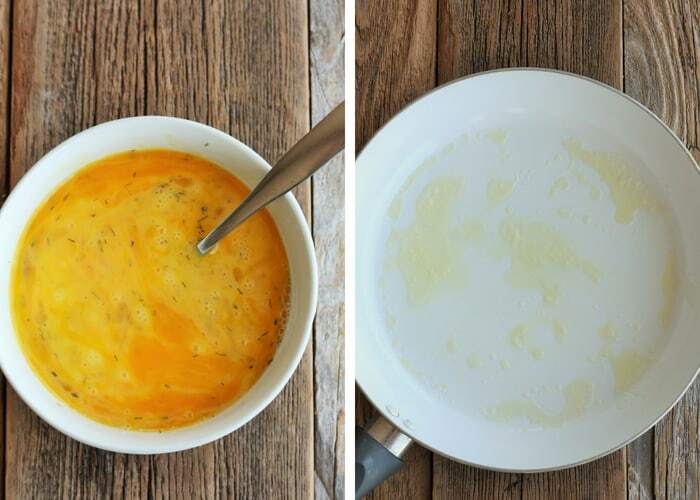 Drop your ghee or butter into the pan and swirl to coat. 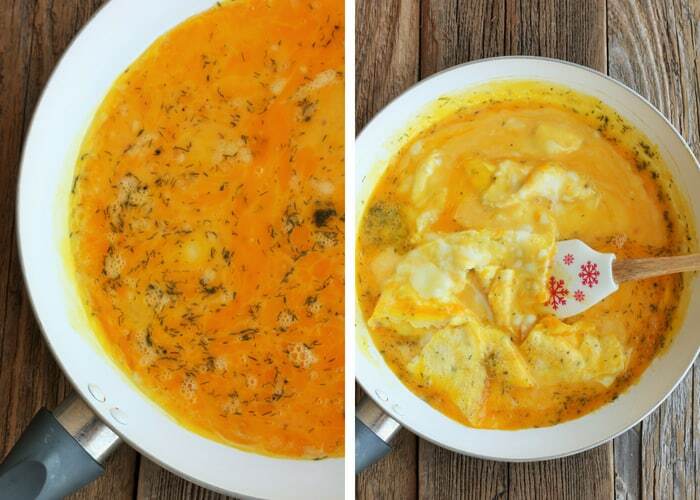 Add the eggs to the center of the pan and don’t touch them. 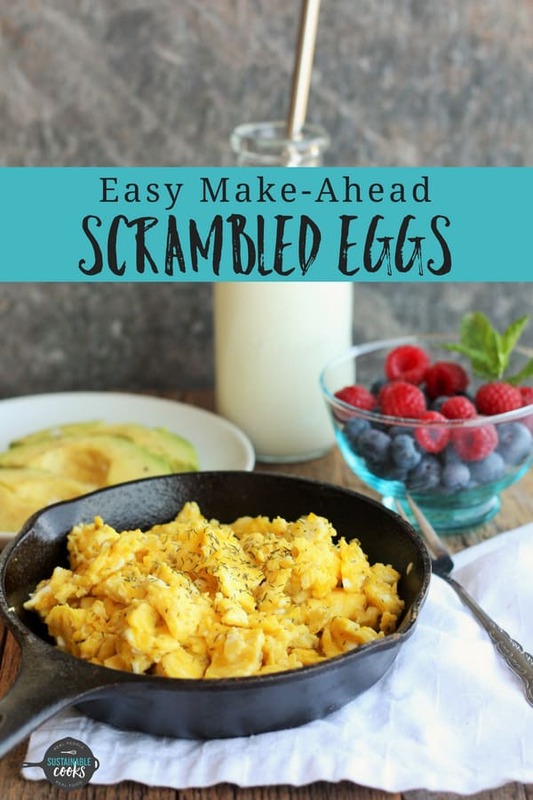 My advice for you when making scrambled eggs is the same advice that I would give to any new dad who is sitting at home expectantly when his wife comes home from her 6-week post partum check up – it’s not ready yet. Just leave it the hell alone. In other words, don’t bother the eggs for a while. I start to stir them when the edges of the eggs are separating from the pan. Use a silicone spatula and fold the eggs over on themselves a few times. Pause and let them cook. When they’re almost set sprinkle with a bit of garlic salt (optional) and fold them in on themselves again. Turn off the burner and let them remain in the pan for another minute. 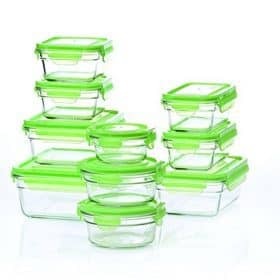 For make ahead eggs: Allow eggs to cool completely and then remove to an air-tight container. 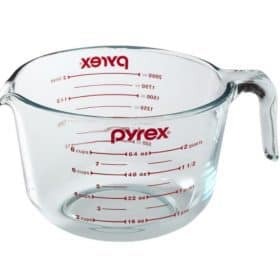 Reheat in the microwave for 30-60 seconds and serve immediately. The lovely ghee/butter we used to make these eggs mean they will reheat like a champ! Want to add cheese to these eggs? I’m sure you do because it’s awesome. When I add in cheese I do so during step 4. Can you freeze scrambled eggs? Yes you sure can. Make a huge batch of these bad boys up and throw them in some breakfast burritos or meal prep containers for later. Look at you; planning ahead. I made these eggs in a ceramic non-stick stillet from Target. The cast iron is only for the photos. 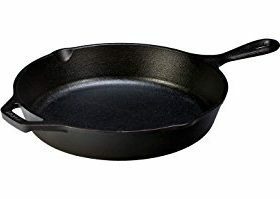 You can make scrambled eggs in cast iron but will want to greatly increase the butter or ghee used. 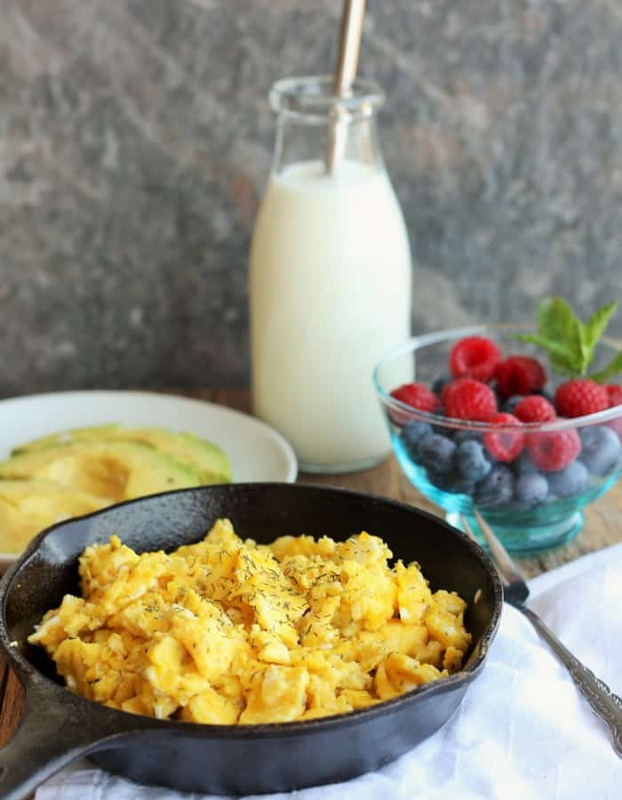 From one egg lover to another, make-ahead easy scrambled eggs are a total morning game-changer. Almost as much as undereye concealer. Add the eggs to the center of the pan and don't touch them. I start to stir them when the edges of the eggs are separating from the pan. When they're almost set sprinkle with a bit of garlic salt (optional) and fold them in on themselves again. This recipe was originally published in January 2012. It has been retested and updated with reader feedback. New photos have been added and the recipe has been made printable. The kids were gonna have a “throw it in a pot” meal full of beans, but now they are getting scrambled eggs! I wish I could get some real eggs?!?!?!? U crack me up. This is seriously the funniest blog for real food! Did the kiddos like them? I swear recipes taste twice as good if you can get the kids on board. but was really turned off with your profanity. Hope you like the eggs anyway. The kids loved them! I made a batch of buttermilk biscuits and they tore it up! I agree with Dara; your blog is fun to read and the real food is awesome! I’m hooking the kids up with an end of midterms jello…yeah we get crazy round here. Total win if the kids loved them! Mmmm, buttermilk biscuits – you’re making me drool! Jello party? Pure insanity in your house! HA! I think I needed a few more seconds to compose myself. It is a hard truth to accept. I think I’ll be mourning these next few breakfasts. Then I’ll make these. I need to get the dried dill, though. Thanks for sharing. Love the humor! I must need new glasses because I thought you said you didn’t have dill at home. How could that be?! Dill is a staple in our house and is used multiple times a week. I hope you correct your ways and bring some in to your kitchen. I found you for your frugal tips. I stay for the humor! The recipes are a bonus! I will try this recipe today!! Great blog!! I hope you love the eggs! +3 for humor and another +1 for profanity. What if I am totally grossed out by cream cheese?! I guess I resign to eating lame eggs. Sad! I am going to try eggs for dinner tonight (I only think of eggs in the morning). I’ve got dill, smoked salmon, and cheese! Oh oh oh, I may have to try this! Just strained off some whey from raw milk and need to find ways to eat that cream cheese. Not too fond of it on its own but in eggs might work. Thanks! Just found your blog. I enjoy your ideas and humor. I found it so quaint and funny, you needed 6 eggs for the 3 of you! I forget what “normal people” do! 6 eggs wouldn’t even feed 1 teenage boy, and I have 3 teenage boys! 🙂 I have 6 kids total. When we make eggs we use 2.5-3 dozen! LOL! I can use all the help I can get being frugal, and enjoy the giggles along the way! Oh my goodness, you need some chickens lady!!! I dread the day when Jack turns in to a teen and decides to bring friends home for dinner. My in-laws describe Troy and his friends like plagues of locusts when they were over and eating! OMYGOSH! I don’t think I’ve ever laughed so hard reading a recipe than when I read your instructions here. You go girl. I used to think I made really good eggs……. Thanks! I had this epiphany all by myself and added cream cheese years ago, super creamy deliciousness! I think its nicer to add fresh herbs from the garden, just as you turn it off. So I guess I make that 1%! haha. I also like mine super soft and there is a technique to squiggling your eggs in the pan (kinda like folding)to get a silky texture. If you can be bothered! OK, I made your eggs and they were pretty good. But I still like mine better! To be fair, mine already have dill and a dollop of greek yoghurt, so they are similar. But I only add a bit of pepper and turmeric. 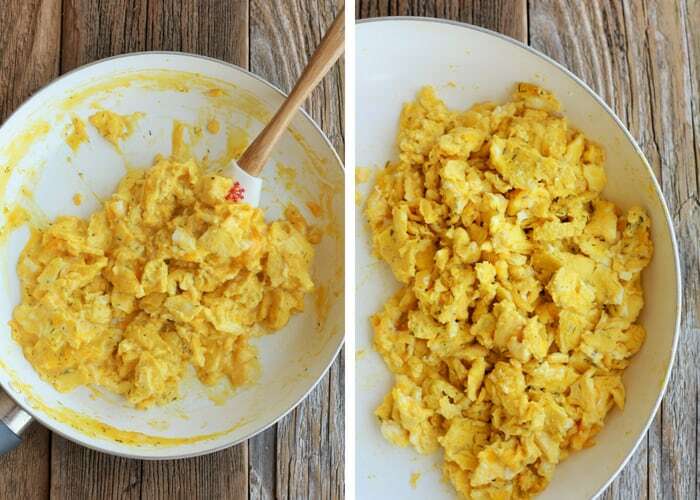 Turmeric is the soul mate of scrambled eggs! You should try it. And instead of using cheese or meat, this scrambled egg mixture is nice poured over nuked/sliced sweet potato and chopped onion, then cooked like a frittata. Awesome 🙂 And even better cold in lunches the next day!